Here at Ver-El RV Park you will find many amenities that you won’t find at other facilities. Shower House: Our shower house is a state of the art facility with its private shower stalls and touch less sinks. 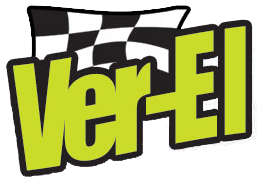 It is open for NASCAR event weekends only and hours vary. Times are posted on the front door. Sorry but the shower house is cash only please. Portable Restrooms: For your convenience we have portable restrooms scattered throughout our facility. These are free of charge. Portable Restrooms are available on events only. Security: Uniformed and non-uniformed security are on site at all times. Camera Surveillance: Most of our facility is monitored by camera surveillance 24 hours a day 7 days a week. Fire Protection: All camping and vending sites are within 500 feet of a fire hydrant. Garbage Pickup: For your convenience all trash is collected throughout the day by our professional sanitation engineers. All trash must be bagged, discarded boxes broken down and placed roadside for pickup. All loose trash from car parking should be discarded in designated trash boxes located around the facility. Bagged Ice: Ice may be purchased at the mobile office located at the main entrance. Rates vary. Handicap Parking: We do offer a limited number of handicap parking spots. These spots are available for reservation and usually go quick. RV Parking: All RV’s, Fifth Wheel’s, and Coach’s are taken from the main entrance by a uniformed parking attendant to their site. This enables you to have a safe, secure and stress free parking experience. Parking assistance can be provided by a licensed (CDL) professional if needed.